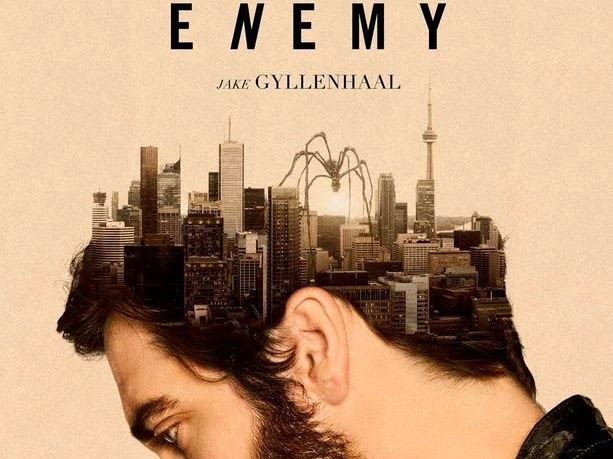 Enemy is the latest film from Denis Villeneuve, the Canadian director behind last year's Prisoners, and it is more enigmatic than your average thriller. It is the kind of film, like Johnathan Glazer's Under the Skin, which can leave audiences unsure of even the simplest details of what they've just witnessed. However, it's not the case either that the plot is simply impenetrable (e.g. Tinker Tailor Soldier Spy) or that the presentation is unusually surreal or artistic (e.g. Mulholland Drive). 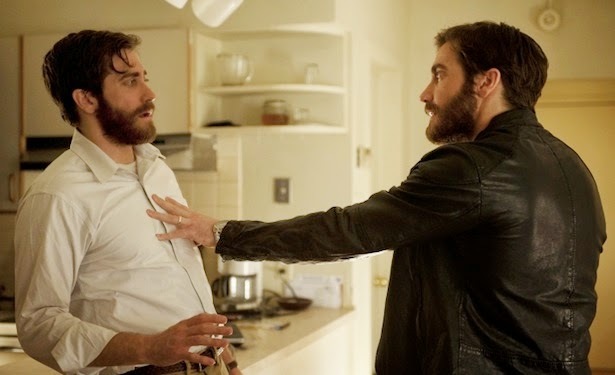 At it's most basic level, the story is about a man (played by Jake Gyllenhaal) who discovers that he has an identical double (also played by Jake Gyllenhaal), and what he does to investigate the situation. Where the confusion comes in is Villeneuve's use of symbolism (spiders) and the way all of the enigmatic details of the narrative come together to form something greater than the sum of their parts. It's not impossible to understand what happens in Enemy, it's simply difficult to understand what it means. I dislike writing reviews with spoilers because I think a good review should be specific enough to give readers a sense of whether or not they should see it but general enough to not take away anything from the viewing experience. But in that regard I can only say a couple of things for certain about the movie: it is well made in the sense that it has a consistent atmosphere and visual style, as well as some good performances from its leads; and it will likely be enjoyable for anyone who likes movies which ask more questions than they answer (or which aren't, strictly speaking, about what happens in the plot). Beyond that it gets either too subjective or too specific, so here we go into possible spoiler territory. As the above poster for the film (as well as its emphasis on atmosphere over narrative) would suggest, the movie is not about a conflict in our physical reality, but about a conflict in Jake Gyllenhaal's mind. It's not so much about a man who finds out he has a double as it is about a man who's struggling with two aspects of his own identity (each embodied in one of the two doubles) and with his relationship with his wife and other women (embodied in the spiders). Half of the protagonist is plagued by desire for other women, and the other half wants to remain faithful to his wife. This is a simple story which is merely told in a way which is incredibly unconventional and creative (and, for me at least, quite compelling). Regardless of how you read the material on screen (and the ending in particular), there's enough attention to detail to reward multiple repeat viewings. Enemy is the kind of movie that will confuse you in the best way possible (at least for my taste). I don't think movies being confusing or enigmatic makes them inherently good, but here we get the best of both worlds in terms of quality filmmaking and thematic ambiguity. Consider the film's use of color and lighting. The majority of the film is completely washed out in yellows and browns, but there are notable exceptions like the motorcycle and motorcycle helmet which stand out in bright blue and red (respectively). This picks out these objects as important—and in a different way than symbolic objects like the key, for example—but it's difficult to saw exactly how (they seem to signify independence, something he's struggling with in his marriage). In any case, Enemy is nothing if not open for interpretation. The basics for narrative drama and character development are buried in the story about a man struggling to maintain his relationship with his wife, but the rest is up to the audience to decide what the rest of it means. Jake Gyllenhaal is a really exciting actor for me. His performances here and in Prisoners and Nightcrawler really blew me away as both powerful and nuanced in a way that I don't see very often. I know he's had good roles and given good performances before, but it seems like he's only getting better and Enemy is no exception. He manages to make his two personas feel distinct even when they take off their signature clothing (the only objective markers of their identity). I also loved the surreal imagery with the spiders. It obviously stands out from the rest of the movie in an intelligent and purposeful way, but it also just looks really cool. Yup.